The Swiss linguist Ferdinand de Saussure is sometimes thought of as the father of modern linguistics. Although Saussure was well known in his lifetime for his work in the history of Indo-European, his most influential work was not published until after his death, when some of his students got together and, on the basis of their lecture notes, reconstructed the course in linguistics that he had taught in Geneva. The Cours de linguistique générale (Saussure 1969 ) became one of the key texts in linguistics, and ushered in the era of structuralism which we might argue continues today. 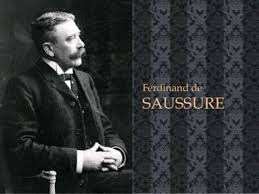 In the Cours, among a number of important statements and illuminating comparisons, Saussure made a number of fundamental distinctions which are still basic to linguistic thinking. These are outlined below. Saussure says there are two sides to language: langue and parole. While the French terms are generally used in English, they are sometimes translated as ‘language’ and ‘speech’ respectively, though not without some danger of ambiguity. Langue is that part of language which ‘is not complete in any individual, but exists only in the collectivity’ (Saussure 1969 : 30, my translation, see the footnote for the original French1). Parole, on the otherhand, is observable in the behaviour of the individual. According to Saussure, it is not homogeneous. The distinction between langue and parole has suffered two major changes in subsequent scholarship. First, a third level has been added, that of the Norm (see especially Coseriu 1962 ). Our langue would allow us to say what the time is by saying It is ten minutes before four o’clock, or It wants ten minutes to be four o’clock, or In ten minutes it will be four o’clock, or It is five minutes after a quarter to four.We do not find such utterances attested in parole. The second thing that has happened to the langue/parole distinction is that it has been overtaken by other, similar distinctions. Chomsky (1965: 4) introduces the distinction between competence and performance. Performance is very like Saussure’s parole. It is prone to error, to memory lapse and the like. Chomsky (1965: 4) also points out that for Saussure langue is ‘a system of signs’ (Saussure 1969 : 32), while for Chomsky competence is a generative system. This is an accurate description of langue, but does not seem to be fundamental to the notion of it in the way that its social aspect is. We can study a given language in two ways, Saussure maintains. The first is that we can look at the language as it is (or was) at any particular point in time. Thus we might study the syntax of American English in the early twenty-first century, or the phonology of seventeenth-century French or the patterns of compounding in Classical Chinese. These are all SYNCHRONIC studies (syn- ‘alike’, chronos ‘time’). The alternative is to look at the way in which a language develops or changes over time. In this way we might consider the development of the English verb system, or changes in Arabic phonology from the classical period until today. These are DIACHRONIC studies (dia- ‘through’, chronos ‘time’). Despite such problems, the distinction between synchronic and diachronic studies is generally maintained today. Thus English is written from left to right, with elements further to the left corresponding to elements produced earlier than elements further to the right. So in (1) cat precedes mat in linear order, corresponding to temporal structure in speech: we would say cat before we would say mat. The elements in (1) are said to be related to each other syntagmatically. Together they form a syntagm(/sɪntæm/) or construction. We can say that the verb sit (or sat in this particular sentence) determines what it will be related to syntagmatically in that it demands something in the position of the cat in (1) and allows, but does not demand, an equivalent phrase after it (as in They sat the dog on the mat). However, language is also structured in terms of the words (or other elements) which are not there but which could have been. Each of the words in (1) could have been replaced by a number of other possible words. Some examples are given in (2). The words in each of the columns in (2) are related to each other paradigmatically. They are related by being alternative possible choices at a position in the syntagm. While elements which are related syntagmatically are all present, elements which are related paradigmatically are mostly absent: they are relationships of potential. Each of the columns in (2) can be called a paradigm (/’pærǝdɪm’/), although that name is more usually reserved for a particular type of paradigmatic relationships, those holding between different forms of the same word (or, more technically, lexeme). Thus (3) illustrates a Latin noun paradigm. with the stem domin-. The endings themselves are in a paradigmatic relationship. Note that elements in paradigmatic relationships share common features. All the words in the first column in (2) are determiners, all those in the second column are nouns and so on. Word classes can be thought of as being derived from sets of paradigmatic relationships. Very specific syntagms can also show semantically related words in relevant paradigms. Thus, consider (4), where the verb – except in figurative uses – demands the word cat or a closely related word. Saussure insisted that the linguistic sign has two aspects to it: a sound side and a meaning side. The two are tightly linked within a speech community, and can be seen as being the two sides of the same playing card, but we must nevertheless keep these two aspects of the sign separate from each other in our technical understanding of the way in which language functions. The sign unites the physical set of sounds (the signifier, or signifiant) with a particular mental image (the signified or signifié). Note that real-world pigs do not feature here. Saussure makes a number of other points about linguistic signs which have become accepted, although they had not always been seen as obvious prior to Saussure. Perhaps the most important of these is the fact that the linguistic sign is arbitrary. 0 Response to "The Saussurean Dichotomies"